I have been using soy wax for candles for many years, and it is an excellent, more natural alternative to paraffin wax. Soy wax is also less expensive than other natural waxes. 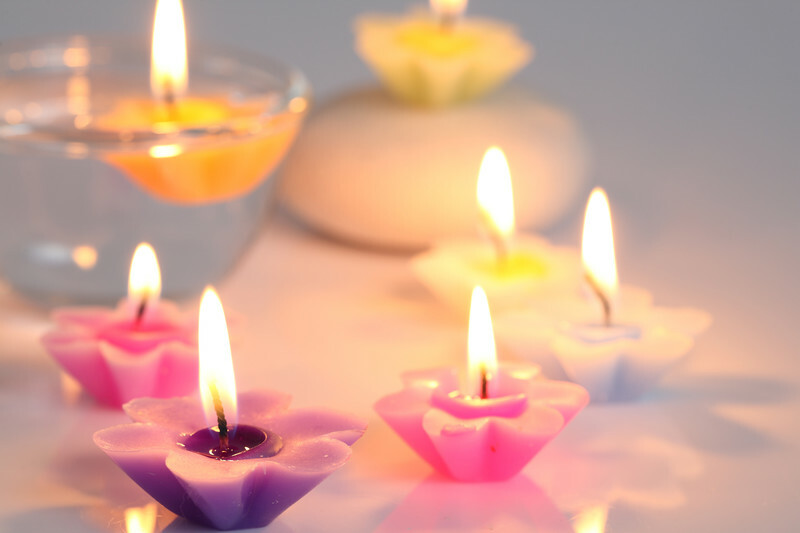 Soy wax burns cleaner and up to twice as long as paraffin if the candles are made properly and is a renewable resource. We have a very robust community for soy candle makers that is growing by leaps and bounds! If you are interested in learning more about soy candle making, you can head on over to the Soy Candle Making Time website where you’ll find lots of info to help you along! You can also sign up to the Soy Candle Making Time newsletter below and get a Best Fragrance Oils for Soy Candles list, as well as a complete suppliers list by US state as well as some in Canada, Australia and the UK. Soy wax was invented by Michael Richards in 1991, which makes it a pretty new type of wax. There was a demand for natural waxes, but beeswax was very expensive so Richards was looking for a cheaper alternative. He experimented with different types of waxes and by 1996 he came up with a way to make soybeans into candle wax, which was natural and affordable. Since then, soy wax has steadily grown into a large part of the candle industry. I began making soy candles in 2008. At that time, soy wax was still gaining ground and there was not a lot of competition yet. I have seen it grow by leaps and bounds in the 10 years since then. Now there are soy candle companies everywhere online in the United States and overseas! It’s been pretty amazing to watch actually! Some would say that because of the way that soy wax is processed to become usable for candles, makes it not necessarily natural. There is also the concern about most soy crops being GMO. Personally, as far as candles go, I am not concerned with the GMO part of it since I am not going to be eating it. There are some chemicals used in the wax making process however. “According to the Soyfoods Association of North America, hexane is used only in the initial steps of soy processing, and virtually all of it is eliminated by the time the soy ingredients are incorporated into soy burgers and other products. Testing by Swiss scientists found that the majority of vegetable oils sampled had no detectable levels—and those that did fell below the tolerance limit set by the European Union. There have also been claims that soybeans are bleached, but in my research, I haven’t found any solid evidence except a couple anti-soy websites that confirm this. The only chemical I’ve seen in my research is hexane, and that looks like it is pretty much completely removed by the end of the processing. I still use soy wax, but I’ll leave you to do your own research and decide for yourself if soy wax is right for you. There are different types of soy wax on the market today. If you would like to learn more about the different types of waxes and all about soy candle making, you can purchase my e-book The Soy Candle Making Book here. You can also purchase the paperback version on Amazon by clicking here.